Pine Mountain Lake Hole 1: The opening drive is from an elevated tee box and right next to the clubhouse, so people will likely be watching. It also features the only lake that is in play (technically there is one more on PML golf course, but only the worst shot ever would find it) for the entire day, so once you get past this water hazard, it is clear sailing for those with a high water-ball casualty rate. Pine Mountain Lake Hole 2: This short, strategic dogleg right par four makes great usage of a massive tree about 80 yards from the hole, on the right side. The player can hit a 200 yard drive and still have wedge over the tree, but anything longer off the tee that doesn't go at least 250, will be blocked if it is right of center. Of course, the left side of the fairway is clear, but if the drive is too aggressive, there is OB to the left. 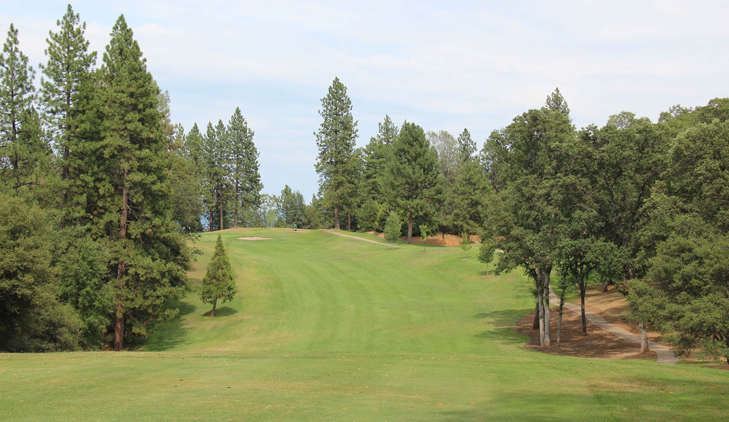 Pine Mountain Lake Hole 5: This par four is long and features a very narrow and uphill drive. 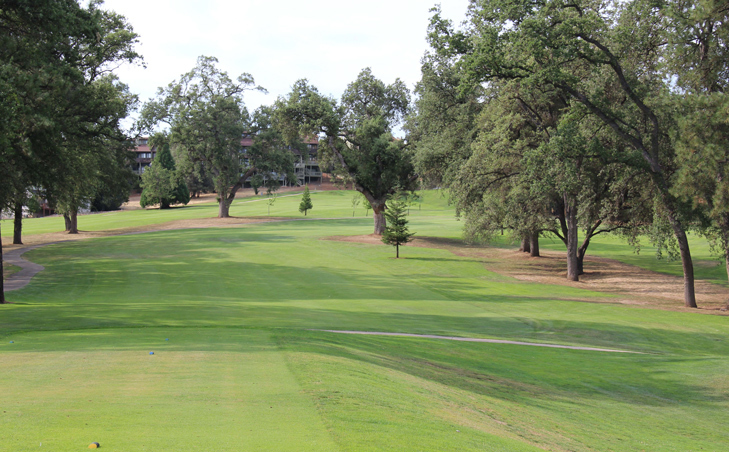 If the drive can get to the top of the hill in good shape, the approach is back downhill to a green in full view. However, if the drive isn't long enough, the approach will be blinded by the top of the hill and direction will be much more difficult to manage. Pine Mountain Lake Hole 6: This is not a slice-friendly golf hole although it is a dogleg right. 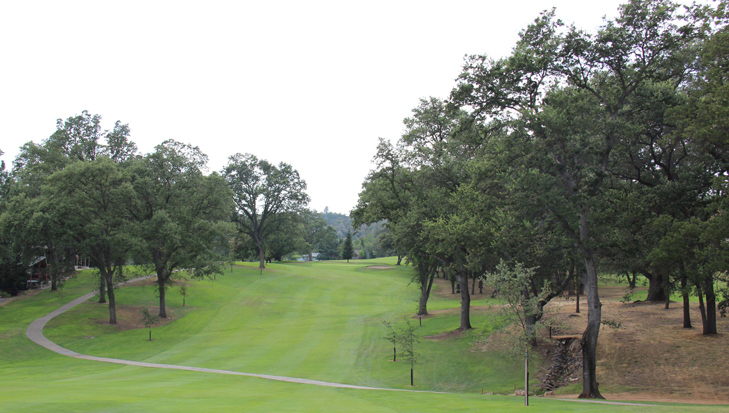 There are a lot of trees down the left, so a straight or drawn drive is required from the tee. The approach is very difficult as the green is elevated so that the surface is blind for the approach. Anything short will come back down the hill 20 yards. Pine Mountain Lake Hole 8: Another elevate tee here presents the obvious danger in the form of out of bounds to the left. The fairway is well below the green, so the uphill shot requires the right distance, with long being a very bad option as it would leave a tough chip or might bound down a hill over the green and into the OB. 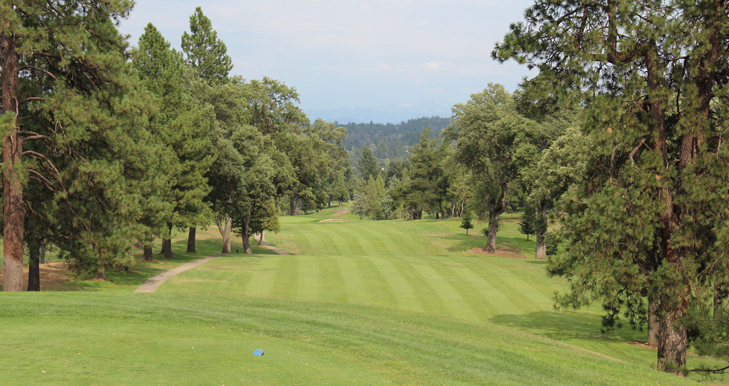 Pine Mountain Lake Hole 10: The back nine opens with this solid par four that features a challenging drive that must stay between the large trees on either side of the fairway. The green features two bunkers to the right side, with the second one hidden from view. Pine Mountain Lake Hole 11: I do not know if PML has a signature golf hole, but this should be it. 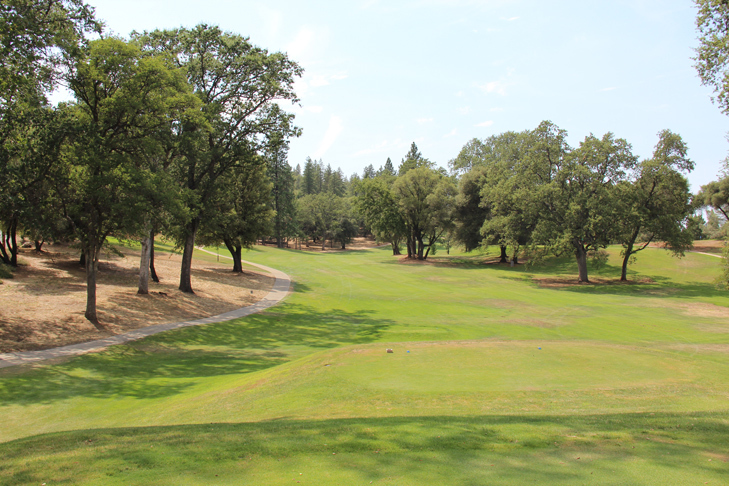 At nearly 500 yards from the back tees, this downhill, sweeping dogleg left is a great one. Anything left off the tee will attach a two-shot penalty but the bailout right will make this a par five. A successful and long drive can actually leave a decent (although still likely a mid iron or longer) shot to a deep green with two bunkers to the right and left. 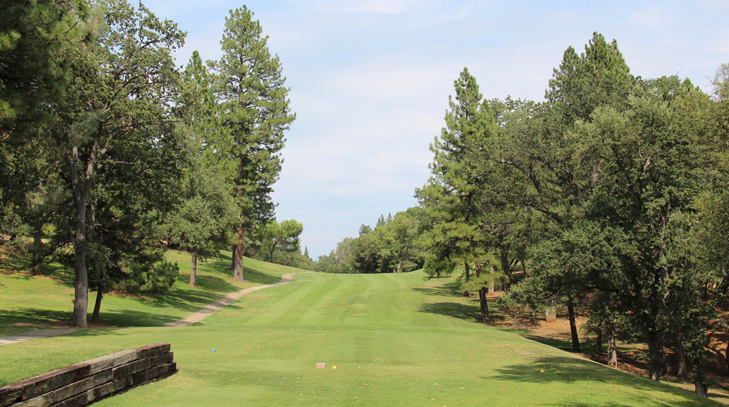 Pine Mountain Lake Hole 12: The last of the series of three eastward heading long par fours to open the back nine, this one is tight and challenging. The drive needs to stay right of the OB but avoid the bunker to the right of the fairway. Four bunkers around the green make a solid second shot necessary to this undulating green. 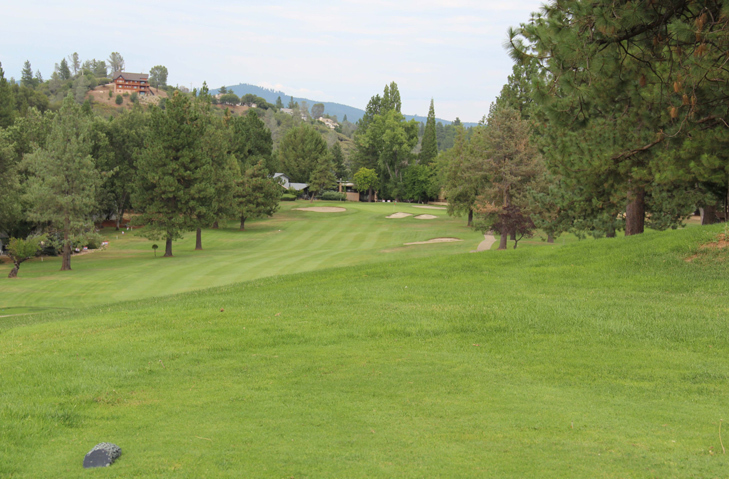 Pine Mountain Lake Hole 16: One of only two par fives on PML golf course, this one is medium length and had a drive with trouble on both sides, but the rewards for a long, straight drive are great as it can bound down the hill and allow for going for the green in two. 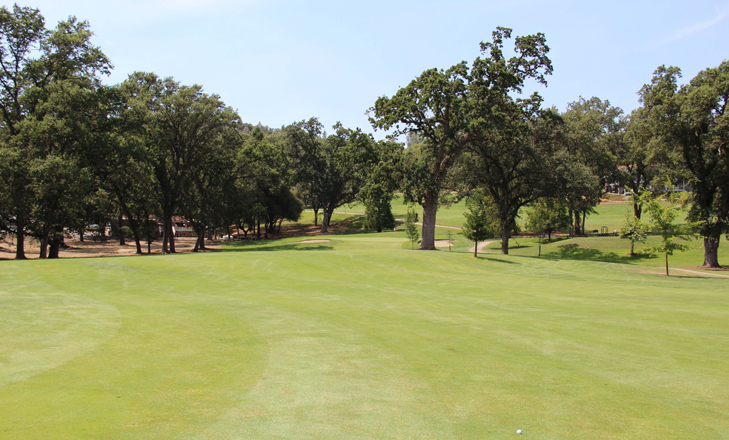 Anything wayward, however, will leave a likely pitch out at best and any second shot left will be plagued by a large tree that hovers over the left side of the fairway about 100 yards from the green. 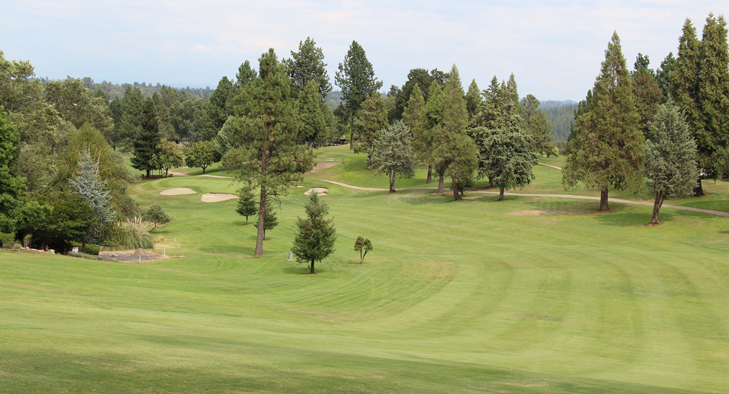 Pine Mountain Lake Hole 18: The last drive of the day needs to sneak between the trees or fly over the one on the inside of the corner of this dogleg right. The green is uphill and very shallow with a deep bunker in front. 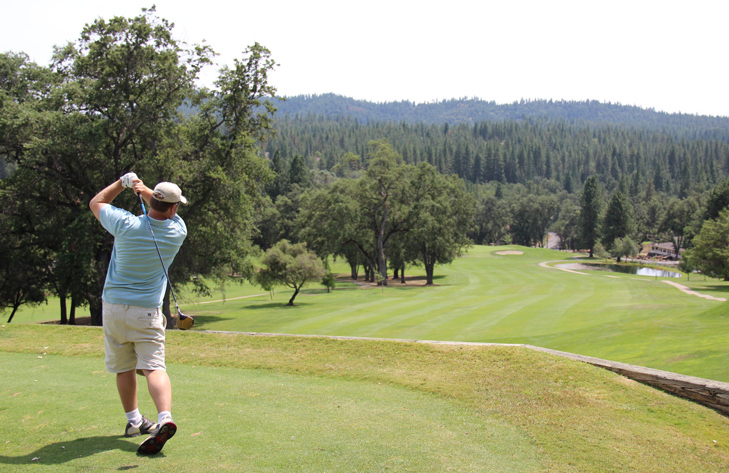 read more Central California Golf Course Reviews here.